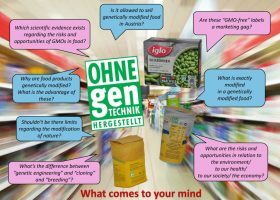 In our TPD course, we chose the socio-scientific issue (SSI) ‘genetically modified food’ in order to introduce the SSIBL approach to our pre-service biology teachers at the University of Vienna. The teachers are engaged as learners, as developers and as reflective practitioners in our course. First they experience a SSIBL environment on ‘genetically modified food’ as learners and then get acquainted with the theoretical rationale underlying the SSIBL approach. Afterwards they design SSIBL environments themselves, which they carry out in school. Finally, the pre-service teachers reflect on their SSIBL teaching experiences. Our TPD course is developed for a group of 15-20 pre-service teachers. The course is held over one semester (4 month). The teachers and the teacher educators meet in 8 face-to-face meetings (in total 22h, 4 ECTS). First, the teachers experience a SSIBL learning environment themselves: The teacher educators present them with a captivating entry into the topic ‘Genetically modified food’ and afterwards the teachers carry out a literature research along self-developed questions. This leads to a final unit on ‘mapping the controversy’. After this learning experience, theoretical considerations underlying different phases in a SSIBL learning environment are introduced (see handout A). In a next step, pairs of teachers develop SSIBL learning environments themselves and carry them out in school. Alongside they reflecte on their teaching experiences and on the students’ learning in terms of students’ argumentation. At the end of the TPD course the teachers have to apply the knowledge they have gained to another SSI. In groups, they work out a lesson plan for a SSIBL learning environment on a self-chosen SSI. A seminar paper is written by each pair of teachers. In this paper they present a revised lesson plan, based on their experiences and the reflection upon. And they reflect on the SSIBL approach in general as well as their learning experiences in the TPD course. 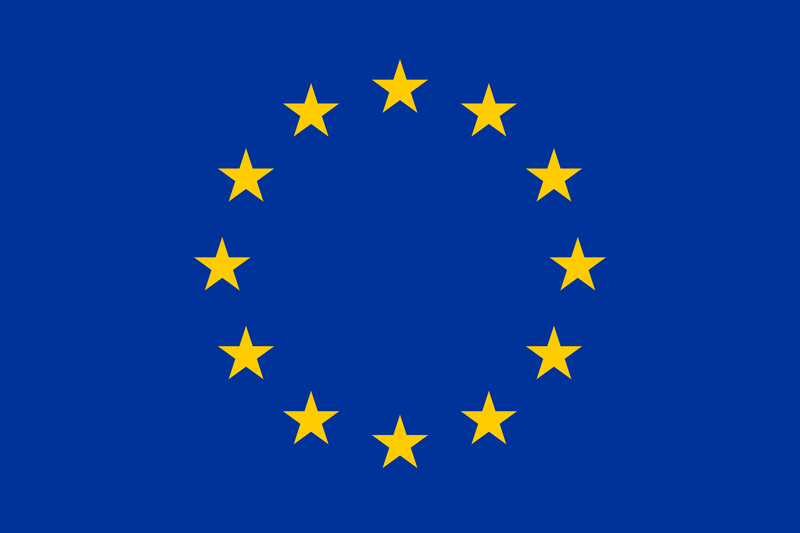 An overview and lesson plans for each session of the TPD course (Outline_LessonPlans_UNIVIE.pdf), the PowerPoint presentations (Presentations_UNIVIE.pdf) and two handouts (Handouts_UNIVIE.pfd) are available in the resources section. O1. Describe and explain typical controversies over genetically modified organisms (GMOs) in food (inc. which GMOs are in use; risks and opportunities in relation to the environment, our health, our societies and the economy; risk assessment in the field of green gene technology; stakeholders involved and their differing interests regarding the use of the GMOs in food; political regulations in Austria, the EU and internationally; consumer behaviour regarding GMOs in Austria, the EU and internationally etc). O2. Characterize a SSIBL approach regarding its general learning objectives (e.g. 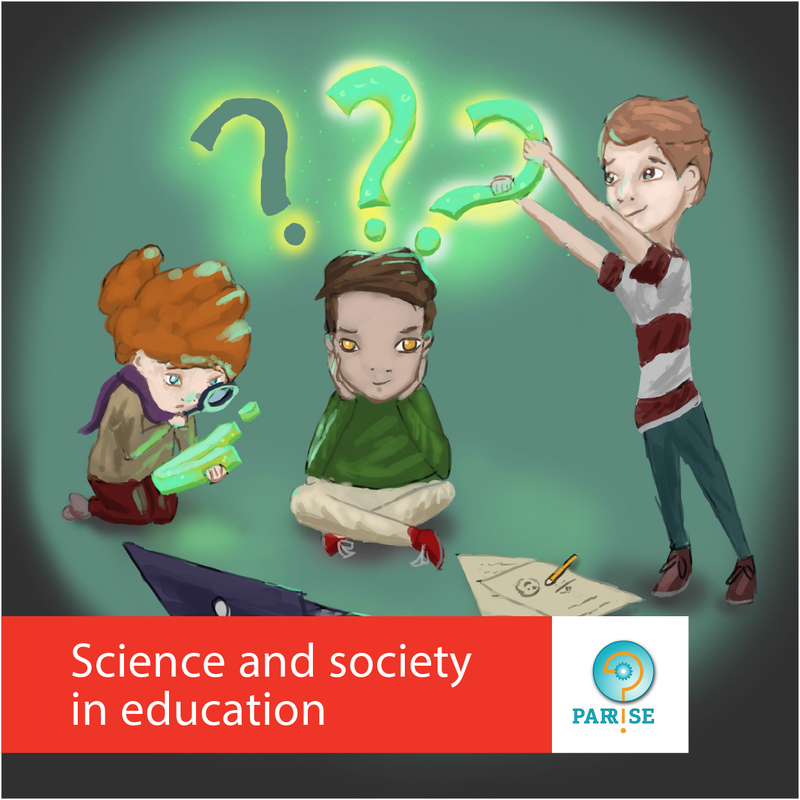 scientific literacy, citizenship education) and establish links to the Austrian national curriculum for biology education. O3. 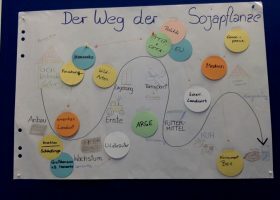 Develop and implement a SSIBL unit in class (choosing an interesting and captivating starting point for students, involving purposeful, research-driven learning through collaboration, critical examination of evidence, using tools for carrying out stakeholder analysis and mapping the controversy, conduct an in-depth debate on the topic). O4. Reflect on teacher’s teaching in a SSIBL environment and reflect on student’s learning in terms of argumentation. Which understanding of the SSIBL teaching and learning approach do the pre-service teachers develop during our TPD course? What are the pre-service teachers’ attitudes towards the SSIBL teaching and learning approach? What are the challenges for pre-service teachers in adopting the SSIBL teaching and learning approach? Which elements of our TPD course help pre-service teachers to understand and implement the SSIBL learning and teaching approach? In order to answer our questions we use the data from the teachers’ seminar papers. 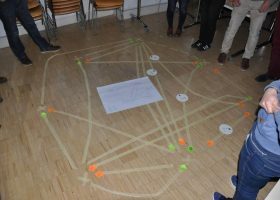 In one part of these papers the teachers reflect on the SSIBL approach in general as well as their teaching experiences in school and their learning experiences in the TPD course. The reflection is guided by questions (see handout B in Handouts_UNIVIE.pdf). In another part of their seminar papers the teachers present their lesson plan for a SSIBL learning environment on the topic ‘genetically modified food’. In a deductive as well as inductive approach we try to identify typical sequences in the teachers’ lesson plans. For the deductive analysis we rely on typical phases of a SSIBL learning environment as elaborated in the theoretical framework of PARRISE (Levinson, 2017).